If you are moving furniture to another home in Waterloo, you must make sure it is done correctly unless you want to risk getting your furniture damaged. Also, if you don’t do it the right way, you could end up harming yourself too, especially if the items you are moving are heavy and large. You are not in any way obliged to used a removals company for help with furniture removals but you need to do it right if you are going to do it all by yourself. So follow these expert tips for handling the task right. It sounds like an obvious thing but many people in hte SE1 area forget to empty furniture when they move it and as you can probably imagine, by leaving everything in your wardrobe or your drawers and cabinets, it’s going to add so much weight and it’s going to be heavier to move. 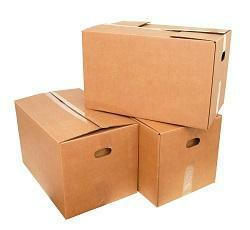 So for your furniture like wardrobes, bookshelves, and cabinets, make sure you take everything out before moving it. It also saves the belongings from inside from getting damaged because if they are moved around a lot, they might be broken. You are bound to have a few blankets lying around your home. Well, they are a great thing to have if you need to move furniture to Waterloo, SW1 because they can assist in protecting your furniture so that nothing gets dented or scratched. Lay out a blanket, lay your piece of furniture, like a desk, for instance, on the blanket and drag it from the room and into the removal van. It’s such a safe way of getting it into the van without any damages. You can also wrap your furniture in blankets and sheets to save from getting scratches whilst they are in transit. One of the main benefits to using professional removal companies in SE1 for when you move house is that they have all the proper equipment for relocating your belongings. This sort of equipment isn’t the sort most people have lying around the home. But if you are serious about doing it on your own or with the help of a friend and without a moving company, you need to get the right equipment. Invest in or rent a dolly and straps for keeping your furniture stable. Sliders are also useful for moving around furniture easily and safely. Packing paper and tape are also useful to protect your furniture. There is a right way to carry furniture when loading it onto the moving van. If you are moving something tall, like a tall bookshelf or dresser, make sure at least two people are carrying it to prevent accidents. Each person should be at each end and remember to take your time. Most of the time, moving any piece of furniture to Waterloo requires more than one pair of hands. At least two people should be there for moving each object in order to make sure it all goes well. It is always tempting to do it yourself and you are capable of doing it. Just remember to follow the above steps and don’t skip any of them! Although, you need not feel ashamed of having to hire a professional company for help. Lots of people do and it’s not a silly idea. Using experts is a good way to ensure no problems arise. After all, you don’t want any of your furniture getting damaged or scratched, do you?